Until recently, it was widely suggested that Samsung's upcoming Galaxy S II flagship will be delayed with a possible launch date in May at the earliest. Fortunately, Sammy itself just put all these speculations to rest after tweeting that the smartphone's release will happen this month, just as it had intended all along. 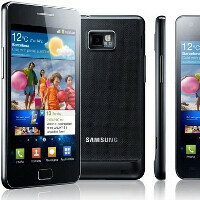 According to Samsung, the Galaxy S II will not become available in all countries at the same time. Nevertheless, we can assure you that we will get our hands on it as soon as it sees the light of day, so stay tuned for updates! So, figure around February of next year for the Verizon rollout. Launchevent for the release in Germany: 30th of April I really hope, Sammy is pushing out the Devices in the beginning of May. Just as promised. Will be with the Tegra II CPU at 1Ghz though. Don't expect the 1.2Ghz A9 Samsung CPU to be available for another few months. The SGS II looks like it would break being so thin... Will be interesting to see just how robust it is in the flesh. I think it's the 1.2GHz one. Which DC Chip is the best so far? They're not lying its still delayed! The suggestions were most likely referring to US release since, you know, THERE'S NO U.S. CARRIER YET! I would be very surprised if it was released here next month without any report on the net on which carrier provider(s) will be available. Hope you ready fandroid for lag fix task killer and fix the crashes.